Notice: These are not sale items; this is a collector's guide. Some items are are still availalble from the original sources; many others may be available only second-hand. Few items listed here are extremely valuable in a monetary sense; but Muir fans will appreciate these items. 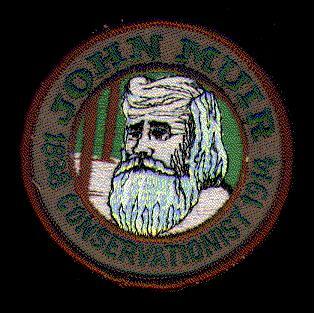 It was once hard to find Muir collecttibles, but now with online stores like Ebay, Etsy.com and Handmade at Amazon you will find a huge variety of posters, prints, decals, jewelry, artwork, coffee mugs, refrigerator magnets, photographs, and much more. See liniks below. National Parks Centennial Medallion, 1972. 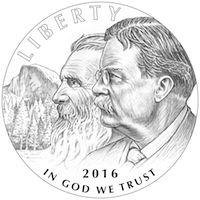 Yosemite National Park Centennial Medal - with John Muir Quote "Climb the mountains..."
"Through The Eyes of John Muir" watercolor painting by Janet Flynn - limited-edition prints, a poster, and notecards are available. The painting depicts the varied species of native plants and animals in rich, vibrant colors and is available in a selected line of products. Proceeds will help the Wisconsin Department of Natural Resources Endangered Resources Program continue its work. 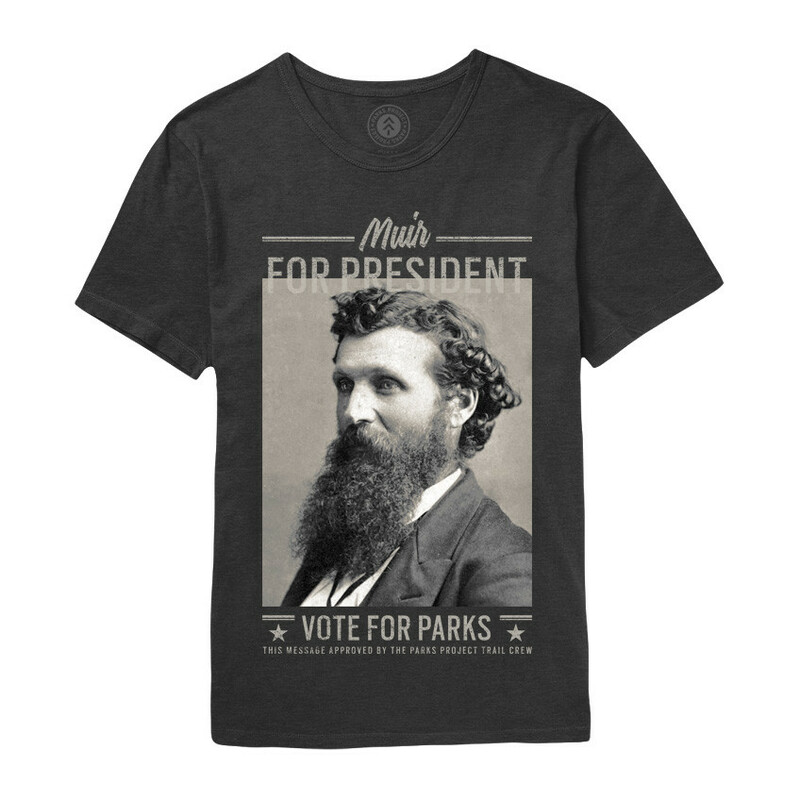 Patch: "John Muir 1838 Conservationist 1914"
Patch: Best Made "Less is Muir"
John Muir Bust Miniature - by Impressions Scotland, Ltd.
John Muir Ringspun T-shirt and Sweatshirts from Flow 397 - (offf-site link) - featuring an unique typography design - the entire portrait of Muir is actually made of wordsâ€¦ all names or quotes are from "John Muir" including many of his famous quotes such as "Going to the mountains is going home" and "In every walk with nature one receives far more than he seeks." 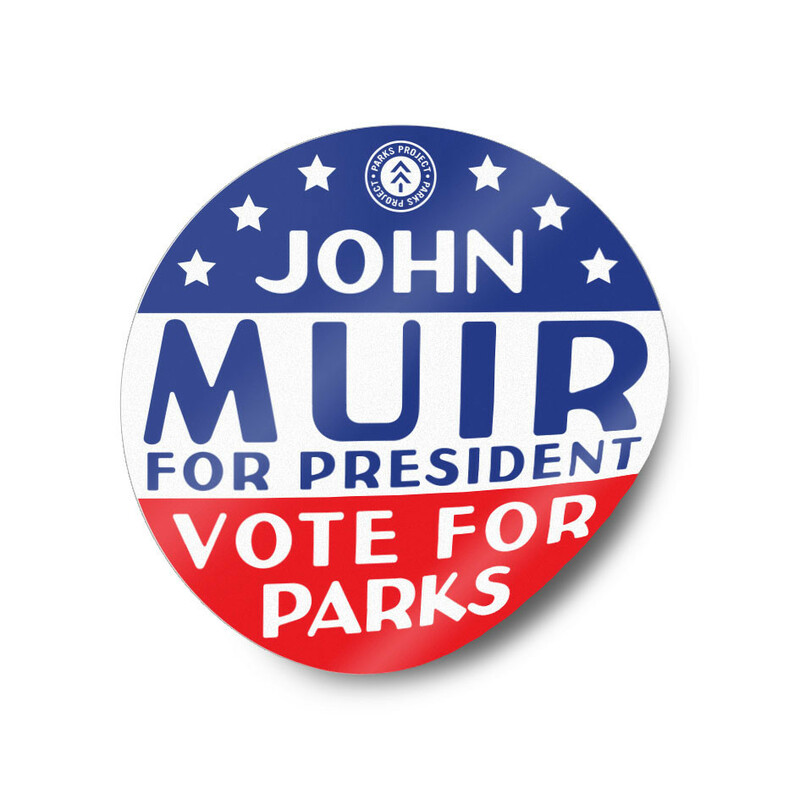 John Muir for President t-shirt from the Parks Project - (off-site link) - Purchase supports various volunteer park projects. 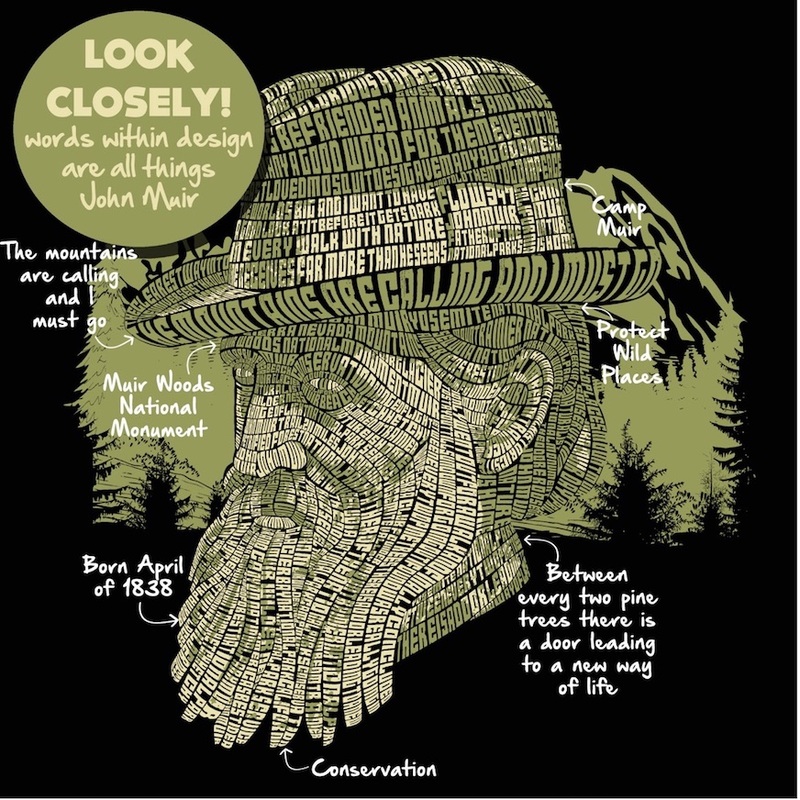 John Muir National Historic Site Bookstore - Proceeds benefit interpretive programs of the National Park Service at Muir's Martinez ranch home. Bookfinder.com - Searches several of the above simultaneously along with other new and used book websites.